Paul Jacoulet spent his entire life from a small boy in Japan and was instrumental in the Sosaku Hanga or creative print movement of the early twentieth century. He invented many coloring and shading techniques and employed the best carvers and printers of woodblock prints. 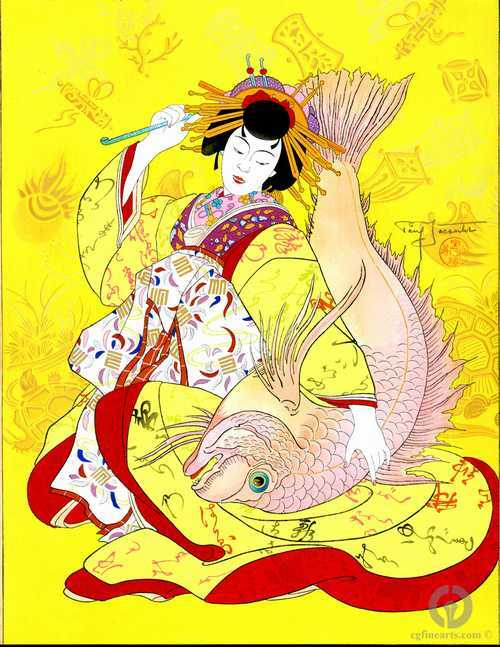 This image is of Ebisu, the God Of Good Luck, personified by a courtesan of Shimabara. This image is in excellent condition. The margins have been trimmed.